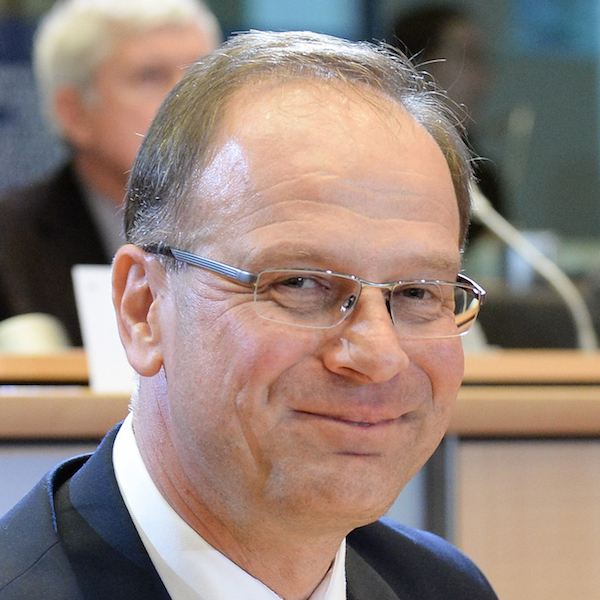 Tibor Navracsics is Commissioner for Education, Culture, Youth and Sport. This year’s selections for the literature prize are noteworthy for their edginess. Is this a European phenomenon, or one of its time? The main effect of the EU literature prize is that it can connect 37 European nations, and the young talents of those nations, with a prize. You know that we just handed over 13 this year, for the translation of these pieces of art, for those people who have been awarded. That means that for some, it is the biggest opportunity for making themselves visible to the European public. That is a unique European phenomenon. That is why I am proud of the EU literature prize. Six out of thirteen of this year’s selections came from former communist states. Is the EU literary prize a tool for strengthening democracy in Europe? Yes, I think it is. The European literature prize can seal the gap that still exists between Western Europe and Eastern Europe, and [foster] a common understanding, a better mutual understanding of the European nations. I was particularly pleased to note the inclusion of a Turkish author amongst this year’s award winners, Birgül O?uz. Her book was also distinctly political. I think it’s just about literature, and Turkey took part. That means that if there’s a talented young writer, he or she must be rewarded. She’s a very talented young writer. As far as I [understand] her literary activity, [O?uz] might be one of the great promises of the future. I think so too. Her work is outstanding. Do you have a personal favorite among this year’s prize winners? (Laughter) Writers coming from the Balkans are probably closer to my personal feelings, because of my original identity, and the language. But I think all of them are talented, and that this is the best thing. We had the opportunity witness how rich we are; how rich European culture is, at the beginning of the 21st century. What kind of examples, from your own personal experience in Hungary, can enhance the future impact of endeavors like the EUPL? Hungary has taken part in the [initiative] as well. We’ve awarded a very famous and talented writer. She made her career in Hungary earlier. It [was] a good opportunity for her to introduce herself to the European public. I hope we can use the financial resources to make that translation happen, because the Hungarian language is an isolated language. Hungarian literature is in a pretty isolated position in European culture. But through EU translation, other nations and other readers can access Hungarian literature as well. I think that might be the biggest contribution of Hungarian literature to the European achievement. What’s next for you, as Commissioner? My portfolio is a pretty vast portfolio. It covers education, youth, sport and culture – all important aspects of life. However, there is a convergence of those elements, because if we talk about youth, we have to talk about education, culture and sport as well. If we talk about sport, it is about community, so it is again about youth, culture, and education. My duty is to raise awareness of the importance of communities at the European level. My definition of the future of European integration is the community of communities. That means that in the coming five years. I would like to do everything possible to build up or contribute to building a community at the European level, a community which respects all other communities, at various levels, in Europe.